I am excited to plant corn, beans, and squash in quite a few places this year. 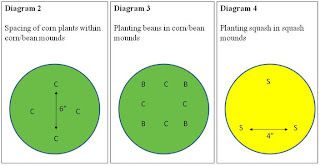 At my 12x12 foot p-patch, I'm planning to plant Carol Deppe's Cascade Ruby-Gold flint corn with Kentucky Wonder pole beans climbing up around the edges, although I'm starting to think that would be a better candidate for the three sisters bed described below. 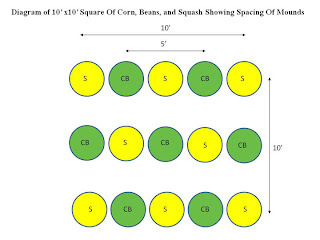 At my dad's house, I've prepared an 8x30 foot patch to plant beans - Black Coco or Gaucho, I forgot which I ordered, and Carol Deppe's Sweet Meat Oregon Homestead winter squash. 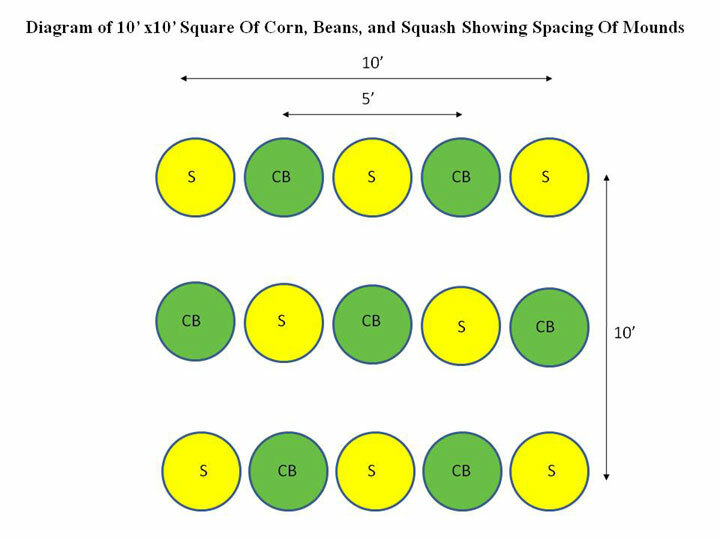 At the farm, Henning's offered an area of around 15x25 feet for planting a three sisters garden, which will be more of the same corn, squash, and a Withner White Cornfield bean, which grows better in the shade then most. 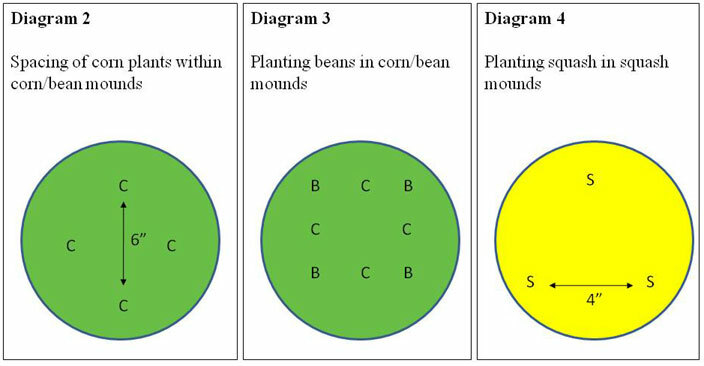 A good tutorial for planting a three sisters garden can be found at the Renee's Garden website. The diagram below is from that tutorial. I also have Dakota Black popcorn seeds, though I think the plants are too small to grow beans up, so I'm still trying to figure out where to put them. In addition, we have Blue Lake pole beans growing at Davi and Wojtek's garden. More information can be found on the traditional Indian way of growing it and traditional varieties here, including links to audio of a Native American gardener describing various parts of the process. There's some nice corn braiding here, too. Just wanted to say thanks. I somehow came across your blog and found the list of interviews by Jim Phillips with Carol Deppe. I've been downloading and listening to all of them on my hikes and they're great. I'll definitely be giving them to a lot of people to try to get them more informed about gardening. I started a garden diary if you're ever bored and want to compare notes, it's at www.metaverse2.com.